Introducing Precision Nutrition Coaching, the only habit-based nutrition, exercise, and lifestyle program tested over 15 years with over 100,000 clients and operated by the world's best coaches. Hi, I'm Dr. John Berardi, co-founder of Precision Nutrition. Over the past 15 years, my team of expert coaches and I have helped thousands of men and women get control of their health, fitness, and eating while transforming their bodies for the rest of their lives. My team and I can help you turn things around for good. We're here to support and guide you every step of the way. Precision Nutrition has become the fitness industry's “final say”. Here's something we never expected to happen when we started Precision Nutrition: We've developed a reputation as being the “final say” in the fitness and nutrition industry. In other words, when men and women try and fail to get in shape, the lucky ones eventually find their way to us. And that's when everything changes for them. Instead of falling off the wagon like every time before ... they're able to stay consistent with brand new exercise and eating habits. 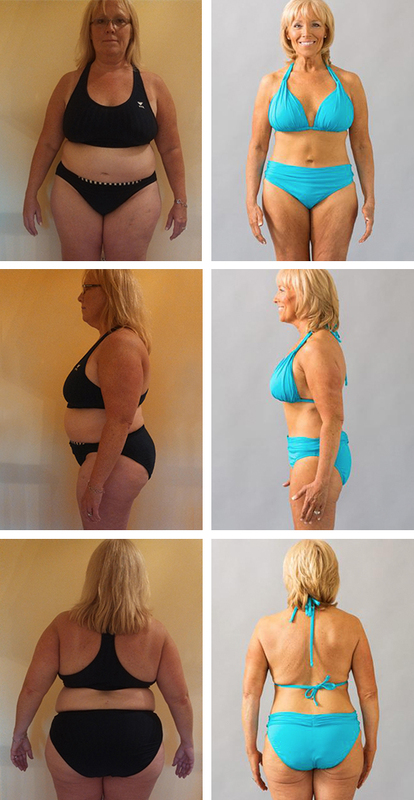 Instead of losing weight only to gain it back again ... they're able to lose weight sustainably. That means no more yo-yo dieting. Ever. Instead of following workout programs that aggravate their minor injuries and pains ... they're able to exercise in a way that's effective and can be maintained. Instead of searching for the Next Big Thing or “the perfect diet or workout program”... they stop agonizing over every detail and trust us to help them make the best eating and exercise decisions for them. What most men and women try before getting results with Precision Nutrition. Workout books and magazine articles. Of course, these aren't necessarily bad options. They end up working for some people. Some better than others. But eventually, most of these methods and tools begin to break down and fail over time. Personally, I've seen it hundreds of times. The question is: why do they fail? The problem: too many “surface solutions”; not enough strategy. Here's the thing most folks don't understand: All the methods and tools listed above—from the calorie-counters and books to the group exercise classes—are surface solutions. They help “solve” a surface-level problem. Don't have a workout program or a place to exercise? Want to track how many calories you eat? Here's an app to download. Want to know how many steps you're taking? Want to know the “best” foods to eat? The only problem with surface-level solutions? They only work for a little while. They don't account for the ups and downs of everyday life. They don't help you develop life-long habits. And they don't adapt to your life. Sure, these surface-solutions are fine when everything is perfect ... when things at work are going smoothly, when you're 100% motivated to exercise, when you're consistently getting 8 hours of sleep, when you're not tempted to eat anything “bad” for you. But what about when life gets in the way? What happens to our workout routines and healthy eating habits when things get busy? There's nothing in the fridge? You don't have time to go to the gym? You get a minor injury? You have an argument with a loved one? You just don't feel motivated to do anything? That's when we fall off the wagon and our hard work evaporates. That's when we start to feel hopeless and really need support. That's when surface-solutions fail, and we end up back where we started. That's also when Precision Nutrition steps in. We've seen surface-solutions come and go. The best-selling diet books that were supposed to “revolutionize” everything? They're in the bargain bin. The workout DVD's? They're collecting dust on the shelf. The magazine articles? They're full of confusing information. The new wearable fitness technology and apps? The jury's still out, but according to some recent research I've seen, I'm not feeling too optimistic. But here at Precision Nutrition, we've been helping people eat, move, and live better for over 15 years—and we plan on doing it for another 50. The reason for our longevity is the same reason we're able to consistently get great results with our clients. How we help you: research, personal coaching, solving deep problems, and inspiring incentives. We're the largest private nutrition coaching and research company in the world, and our team is made up of the best-trained specialists in the entire health and fitness industry. That's no joke. Become a client with Precision Nutrition and you automatically get a personal coach who takes an active interest in your life and cares about your success. Instead of giving you a tool or a diet or a “meal plan”, your coach is there to help guide you and keep you accountable, no matter what happens in your life. Instead of providing “surface solutions”, we help you navigate the stuff that inevitably comes up when you're a busy person, raising a family, and juggling a career. We don't give you surface solutions. Instead, we help you develop lifelong habits. Coach you through the process, helping with the inevitable roadblocks along the way. There's one other thing that makes Precision Nutrition different: We realize that big goals like taking control of your health and fitness are often achieved when the stakes are high. We give away $250,000 in prize money to our clients. Every year. That's a quarter of a million dollars, distributed to the clients who have amazing stories and transformations. Every year. Like Adam here, a former NFL coach, who lost 40 pounds and won $25,000. Check out Adam's before and after pictures for a summary of his physical transformation. And Cindy, a mom and community volunteer who also won $25,000. According to Cindy, a former yo-yo dieter, Precision Nutrition Coaching for Women is "the first—and only—thing to ever help me in 40 years of dieting life". Now's the time. Take control of your body and life with Precision Nutrition Coaching. If you're ready to make a change that will last the rest of your life—and maybe even win some of that $250,000—I want to introduce to you to Precision Nutrition Coaching for Men and Women. It's the only habit-based whole-food nutrition program tested over 15 years with over 100,000 clients and personal support from the world's best coaches. Learn how to take control of your own health and fitness, even if you've tried and failed before. Work directly with a coach who's there to help you stay consistent and focus on what matters. Understand how to eat, exercise, and live better, so you never have to diet again. Forget about trying to be perfect and instead practice only the healthy habits that will make the biggest difference for you. Discover the best exercise and nutrition strategies that work with your busy life instead of against it. Bulletproof your body against potential health problems, injury, and unexpected events. Transform your body into something you love and cherish. Get a shot at winning part of our $250,000 prize; just a little positive motivation to keep things interesting. 100% guaranteed. Get all your money back if you don't get in the best shape of your life. Stick with us for a year, work with your coach, and rest assured it's 100% guaranteed if you don't get what you're looking for. [Important] We have a very limited number of spots. We only open Precision Nutrition Coaching for Men and Women twice per year and it sells out fast. Last year, we filled every available spot in less than 24 hours. Since we only take a limited number of clients each round, we expect spots in this program to sell out even faster. So if you're interested in working with us, I highly recommend you get on our special presale list below. You increase your chances of getting a spot in the program, when it launches on Tuesday, July 16th. ...then the Precision Nutrition coaches and I can't wait to work with you. Put your name on the presale list below, and I'll talk with you soon.